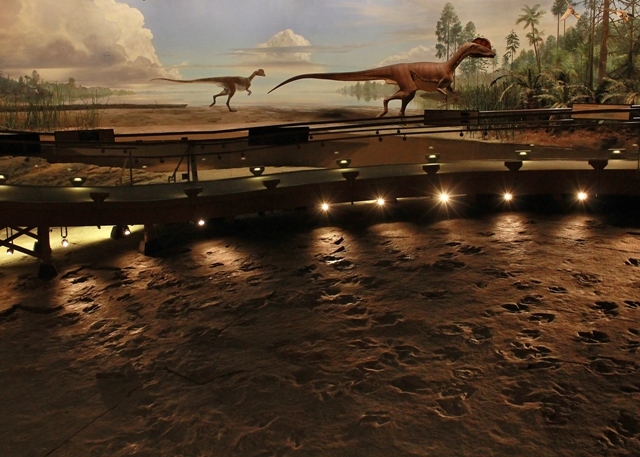 Walking with Dinosaurs (or at least 65 Million Years Behind Them) in Connecticut! As our trip was winding it’s way down, we found ourselves with some extra time in New England. In a former life I used to be an Assistant Activity Director for a home that served adults with disabilities, so planning trips and activities is something I’m pretty good at and really enjoy (and, yes, that’s an open invitation for anyone who wants to whisk me away from my crap day job and hire me as their travel agent) . Anyway, I had this whole vacation worked out including driving times, fun restaurants, and goofy attractions. Looking back I’m pretty proud of myself with the exception of the Maryland Aquarium (which was a total rip-off as David mentioned in his last post) and also going too cheap on hotels.com. Believe me, some of the dumps we stayed at could have warranted horror blogs of their own! 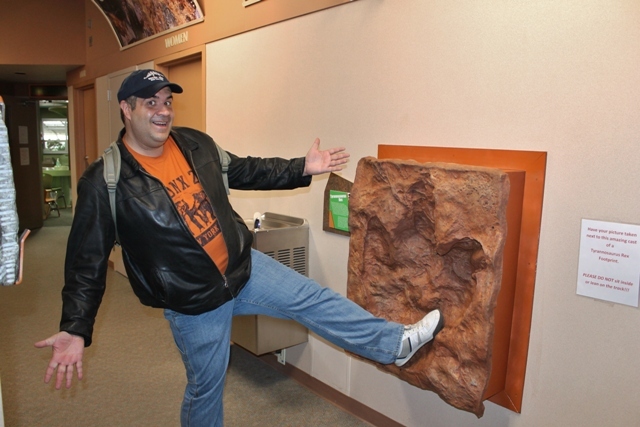 So needless to say, we were left with an unexpected free day on Tuesday and it was on that very morning that David stepped up to the plate and suggested we visit The Dinosaur State Park in Rocky Hill Connecticut. Since we both love dinosaurs, I couldn’t have been happier with this new plan! We ate breakfast at a restaurant in North Kingston, RI called Oatley’s (and in keeping with my being all over the place today, let me also mention that they had the best omelets ever) before starting our journey. We’d really lucked out with the weather on this trip but, on this day, it was rainy and gloomy. In fact, the fog was so thick that at one point we were driving up a steep Rhode Island bridge and you couldn’t even see where it ended…just the top disappearing into the mist. It scared the crap out of me and, even in spring time, New England has a creepiness to it that I suspect gets lost on the other Dave who grew up here. Everything is old and steeped in lore with a dash of the supernatural. While en route, I started seeing signs in Connecticut for places like “Devil’s Hopyard” and “Witch Meadow.” It had me searching my phone for information and, not surprisingly, the latter had a connection to Salem. The whole drive was unnerving and I half expected the other Dave (who didn’t help matters by staying silent the majority of this trip) to pull over to the side of the road, turn to me with yellow eyeballs, and inform me we’ve reached “the end of the line.” Instead the only voice came from the GPS letting us know our destination was coming up on the right. 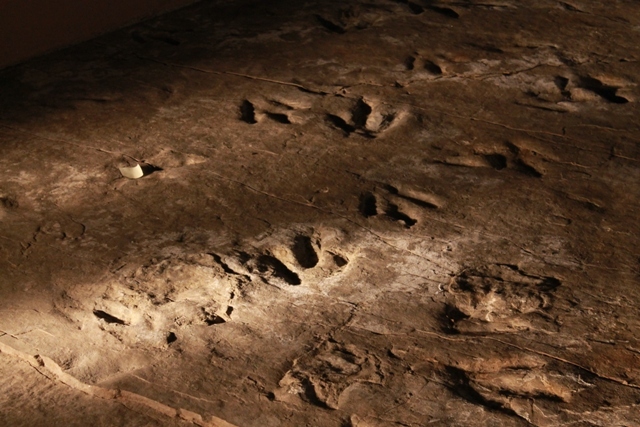 In 1966, during a construction project, over two-thousand fossilized dinosaur tracks were discovered. 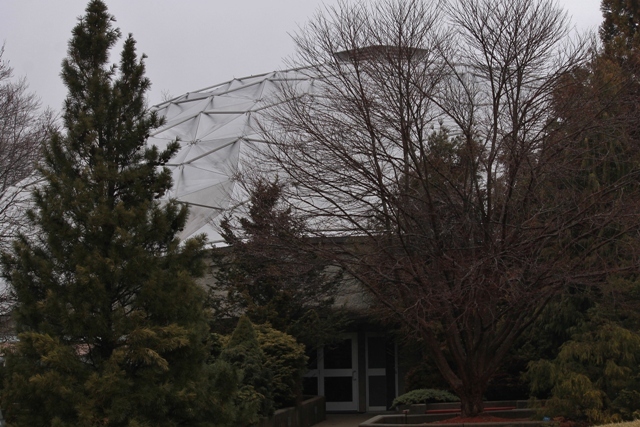 The project was immediately halted and, less than a month later, Connecticut’s Governor Dempsey would declare the land a “state park.” This unusual example of political expedience immediately insured that the tracks would remain undisturbed and a museum was built right over it. 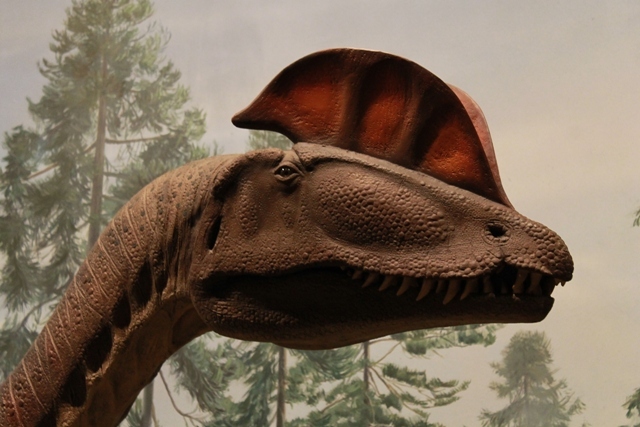 Now visitors could see the prints in the very spot that dinosaurs (closely matching Dilophosaurus) had left them millions of years ago. 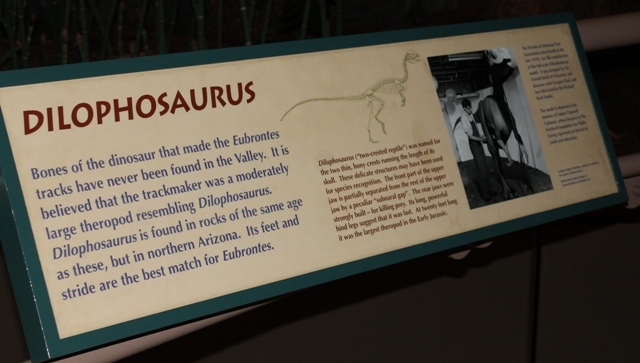 We walked through the gift shop before entering the museum area…a large room featuring the tracks as well as life-size prehistoric animals and excellent signage. 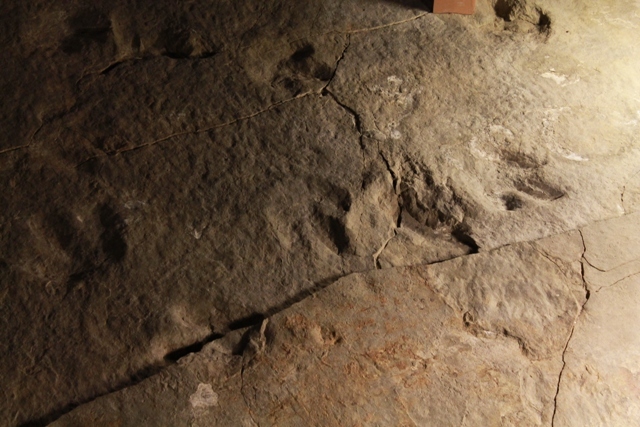 Some of the prints were made by dinosaurs “swimming” or at least experiencing some type of buoyancy while traveling an old river. 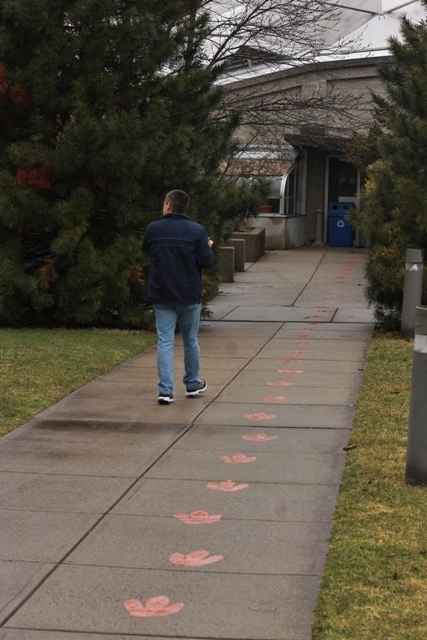 Incidentally, the ancient river where these tracks were laid is the same one connected to a dinosaur site in Massachusetts that David had covered last year (seen HERE). That place is about an hour from this one and privately owned…so if you want to actually buy dino prints, that’s the place to go. That’s not to say you couldn’t buy some interesting items here. After walking through the building we made our way back to the gift shop. 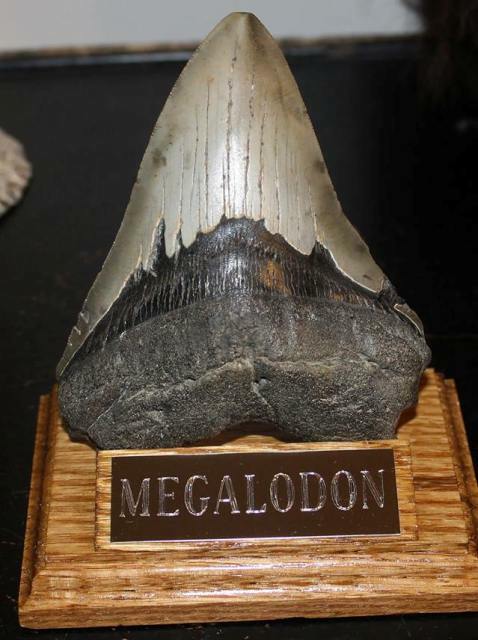 David and I both like fossils and for my birthday last year he bought me an amazing Megalodon tooth that my ten year old son drools over. I totally dig fossils (well not literally, but I really like them) and have since I discovered one in my back yard. 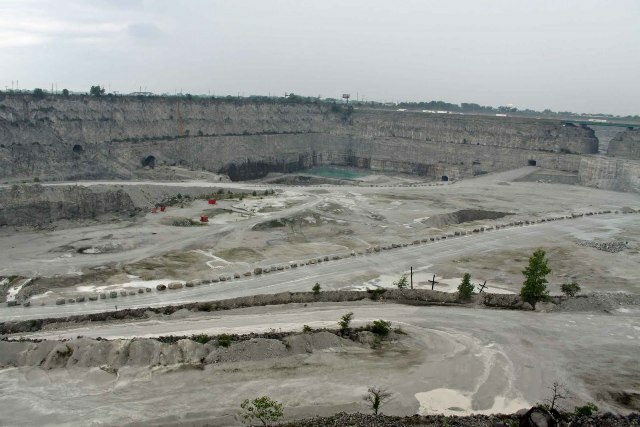 The area I live in the south suburbs of Chicago used to be a Silurian reef 400 million years ago. 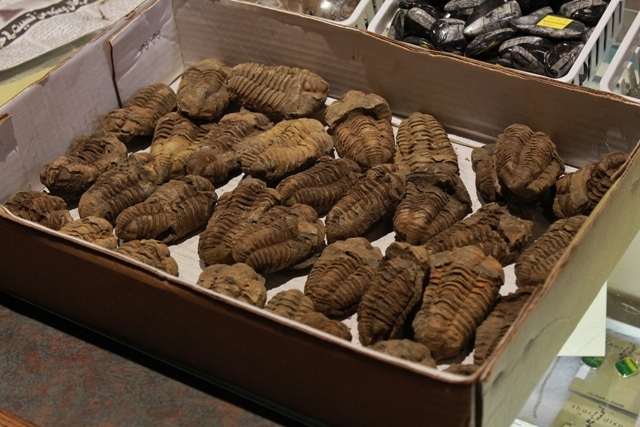 I remember playing with my Kenner STAR WARS toys in the back yard and finding the fossil of a trilobite. Consequently, I enjoy collecting those in particular. David had bought me one of those too during a past trip to Salem but this place had some amazing ones and really cheap! Lisa, the lady working the counter, was extremely helpful. She was also a fan of trilobites and literally helped us go through every single one in the shop (both behind the counter as well as their back storage room)to ensure we chose the one “that called to us.” David and I each bought a couple and I would later give one to my son, Luke (yes, the same kid constantly eyeing my Meg tooth). The place was a lot of fun although poor David was about at the end of his rope with all the driving. Fortunately we had a zoo related party to go to that night in Massachusetts and could kick back a bit. Sometimes you need a break from your vacation. 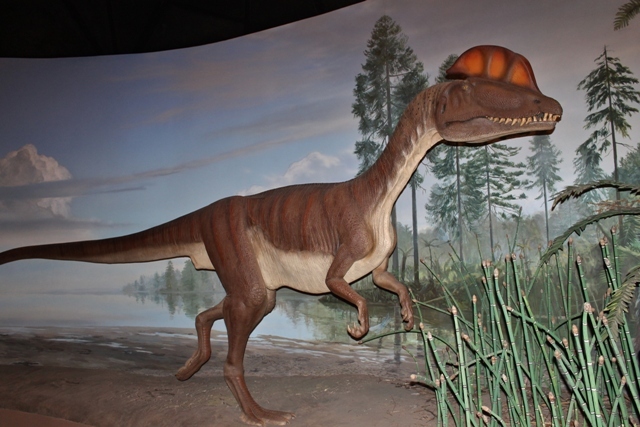 This entry was posted in Dinosaurs & Prehistoric Attractions!, Terror Daves on the Road! and tagged Dinosaur State Park. Bookmark the permalink.